First things first: what is a retaining wall? Simply put, a retaining wall is a barrier that holds in place earth that would otherwise erode or collapse. Retaining walls can be small DIY projects or larger-scale and professionally constructed. Retaining walls can be constructed from a range of materials and can vary in size, shape, and design. Why Would I Want a Retaining Wall? There are two main reasons to consider a retaining wall. First, because it’s physically necessary to correct a slope, prevent erosion, or otherwise level the earth in your yard. These retaining walls serve a functional purpose. In residential settings, retaining walls are necessary when there might be an abrupt separation of ground elevation. Reasons a retaining wall can be necessary include sunken patios, walkout basements, and other hardscapes. Aesthetics are the second consideration. Retaining walls can create tiered gardens or flowerbeds, which add visual interest to otherwise ordinary spaces. Of course, landscape and hardscape elements can be both practical and beautiful. This is certainly the case with retaining walls, and is an important reason to work with a landscape architect when considering the installation of a retaining wall. An expert landscape artist with retaining wall experience can help determine construction specifics as well as design aesthetics—meaning experienced landscapers will discuss the advantages and disadvantages of various materials, placement, and size. Remember that there are specific considerations in determining if you need a retaining wall, some of which you might not know until you consult with an expert. Among those considerations: the slope of the earth at the location and the current drainage situation at the location in question, type of soil, and weather conditions (such as freezing). As is the case with so many projects, building a retaining wall can be a DIY project for some, but working with an expert familiar with retaining walls and your geographical area ensures that the retaining wall built will be not only attractive, but will also function as intended. Knowing whether or not you need a retaining wall is more involved than just knowing you’re ready to build, and working with a professional landscape and construction company can help ensure all considerations: practical and financial, logistical and aesthetic, are fully researched and planned before construction begins. Curious about retaining walls and your options? Contact us to learn more. Is Springtime Ideal For Olathe Retaining Wall Installations? While seemingly simple, Olathe retaining wall installations can become surprisingly complex. There’s a lot of science that goes into taking uneven terrain and building a stunning wall to even it out. Olathe landscape designers often have their hands full when a new wall is under construction. While our professional staff here at Huston Contracting can install a wall whenever you need it, there is an ideal time. During the right timeframe, retaining walls can be installed quicker and better than during other parts of the year. So what time is absolutely ideal? To determine that, let’s take a look at precipitation and temperature. Ideally, we’d like to perform Olathe retaining wall installations during dry months with spring-like temperatures. With that premise in mind, a quick dive into Olathe weather on Google should give us a decent answer. Olathe’s rainiest months come in May and June. Thus, it may not be the best idea to schedule a retaining wall installation during these periods. However, the months with the least precipitation December, January, and February – which can also be problematic due to the cold weather. While hot streaks are becoming more common during these months, they aren’t the best months for such a job. That title goes to March, April, and October. While we at Huston Contracting do believe March and April to be some of the best months for Olathe retaining wall installations, there’s some wiggle room from a temperature and precipitation standpoint. You can install a retaining wall at any time of the year if you’re working with professional landscape designers who know what they’re doing. The key is to do things properly no matter what time of year it is. Always incorporate the retaining wall into your lifestyle and design of your landscape. Any wall over four feet should require some professional attention from an engineer. Manufactured blocks and stones keep things simple and remove the guesswork out of installing. Plus, they look natural and fantastic. Creating a solid base before doing anything else is essential. Make sure you account for drainage. Backfills are essential for full support. If you’re looking to add a stunning retaining wall to your landscape this spring or summer, get in touch. At Huston Contracting, our landscape designers and engineers are ready and willing to help you create a beautiful retaining wall. We look forward to lending a helping hand to the landscape of your dreams. What Does an Olathe Landscape Architect Actually Do? An Olathe landscape architect sounds like a fancy term for someone who cuts lawns with lines in it. However, landscape architecture is a profession that varies vastly and encompasses much more than mowing lawns. To clear the air, we wanted to break down what it means to be a landscape architect and what they do. 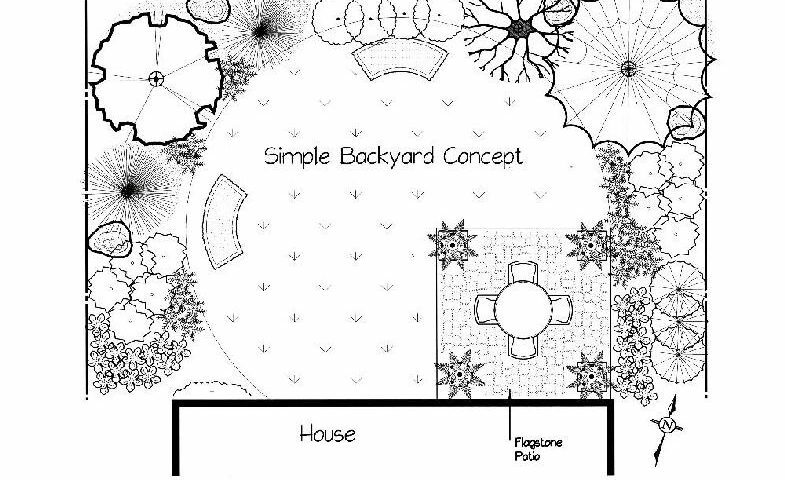 More than mowing lawns, landscape architecture is the profession associated with the design and planning of the land. Olathe landscape architecture is all around us. From the retaining wall in your backyard to the design of the playground down the street to the highways you drive on to work – an architect has designed every aspect of our urban land. Every home, office building, shopping center, or community requires site planning to ensure the spaces are created for human use. This aspect of the job includes technical aspects like utility layouts, circulation patterns, and more. Often, site design includes minimizing environmental impacts and costs. 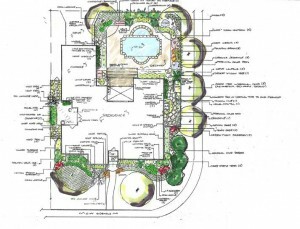 The core concept of becoming an Olathe landscape architect stems from landscape design. Site analysis, sharing of spaces, design concepts, a balance of indoor and outdoor spaces, selecting construction materials and much more go into this part of the job. Designing parks in urban areas are big business. So are the redesign and cultivation of recreation spaces. Parks, golf courses, basketball courts, waterfront developments, and national parks all benefit from this part of landscape architecture. Designing a full city or town is not an easy job. A lot of planning and strategy is involved. Plazas and streetscapes don’t just form themselves. Providing detailed plans and designs for implementation in cities is a huge aspect of the profession. Undeveloped land often has city regulations and roadblocks to development, especially for commercial use. Olathe landscape architects connect policy with individual redesign projects to ensure economics, real estate, regulation and more come together to make a project reality. Regional landscape planning really took off once environmentalism became a hot button issue in the 1970’s. Before an urban development project can begin, surveys of natural resources, habitats and much more must be concluded. This is a major area of practice for many within the profession. At Huston Contracting, we have an experienced and professional landscape architect ready to turn your next project into a design masterpiece. Reach out today for a consultation. We can handle any project and look forward to making your landscaping dreams become a reality. Olathe retaining wall installation has garnered considerable importance over the years. 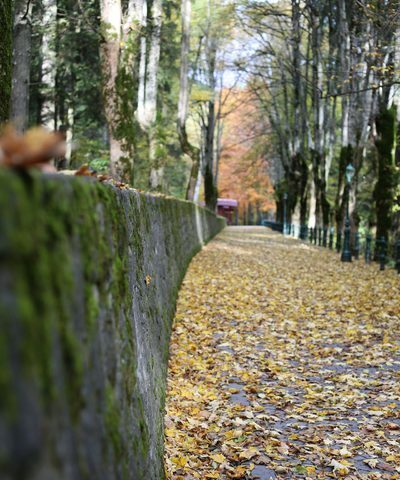 Due to the uneven terrain in parts of our city, many yards have required a retaining wall for a variety of reasons. Often, we install retaining walls in Olathe homes to solve a problem. A problematic slope needs conquering or aesthetics of a space need improved. The problem with these problem-solving solutions is mathematic. A structure designed to hold back tons upon tons of dirt offers no room for error. Other than a bad idea for a DIY project, a retaining wall is essentially a structure built to hold dirt or land. Often, these structures remove precarious slopes from a yard, offer safety or improve the look of Olathe landscaping. While we don’t recommend DIY Olathe retaining wall installation projects due to the intricate nature of the math, you can attempt to do so. The best materials for DIY retaining wall include timbers and interlocking concrete blocks. Poured concrete is not usually an option for a DIY, but the material is durable and offers great flexibility in design for many interested in Olathe retaining wall installation. Traditional Olathe retaining walls often are made of masonry. Materials like stone, brick, and concrete blocks are all common place. However, your best bet is hiring a professional Olathe landscaper to create a wall with these materials. At Huston Contracting, we have a number of masonry styling to choose from when designing your wall. If you’re looking for any Olathe retaining wall installation services or repairs, we hope you’ll get in touch. At Huston Contracting, we have perfected the art of the retaining wall. We look forward to helping you with any and every Olathe landscape project. Home improvement isn’t ever easy. If something can go wrong – it will! With that being said retaining wall installation doesn’t have to be difficult. By planning and designing your wall before the first shovel of dirt is moved, you can ensure the perfect structure for your home. It’s important to note that building a retaining wall for your home isn’t for people new to DIY home improvement. The structural component of retaining walls requires more than a little elbow grease. 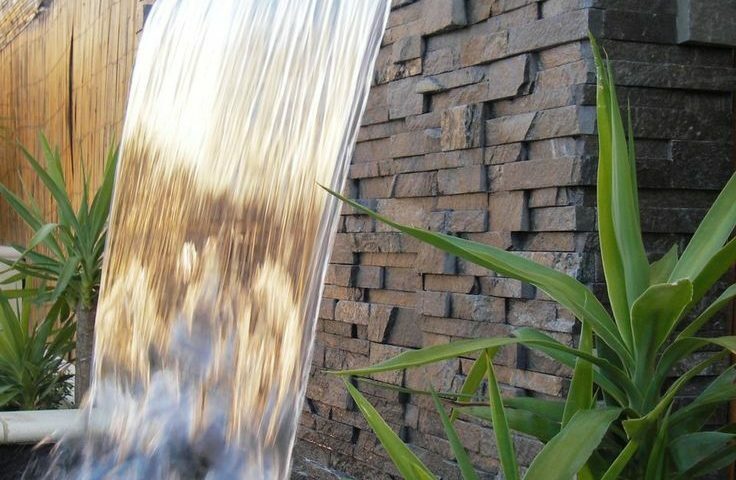 For this reason, many people find hiring an Olathe landscape architect useful when designing a wall. Retaining walls can often be large projects that take up a lot of space on your property. Before beginning a large-scale project – make sure to identify property lot lines. If you’re going to undertake a large project, it is neighborly to let all around you know of the future construction. Utility lines are dangerous. Get your lines marked before beginning any project – retaining wall or not. Call your utility company to have this done. Retaining walls above certain heights will require a building permit. Check with the city code before starting your project. It’s crucial to determine the type of soil found at your dig site. Test the ground to see if it’s clay, sandy, or organic type of soil. Organic soils are not to be used for retaining wall projects. Sandy soil is the best, but clay is more prevalent and can still work on your wall. The environment and vegetation surrounding your wall will play a critical component. Trees and bushes can be used to enhance the overall look and landscape of your retaining wall. Just remember that planting trees behind your wall once it’s installed can add pressure to the structure of your wall. Solid ground is essential for retaining wall installations. The type of soil is important, but compacting that soil firmly is also vital. Retaining walls featuring greater heights will usually be harder to create than shorter ones. You may have to consult the code within your city if building a giant retaining wall. Many retaining wall installations take place on a hill or slope. If you’re building in one of these areas – make sure you determine how much cut and fill will need to be taken or brought. Projects requiring cuts or fill are better suited for professionals, like Olathe landscape architects. If you have an Olathe retaining wall installation project forthcoming, you may want some professional help. If so, we’d love to hear from you at Huston Contracting, Inc.